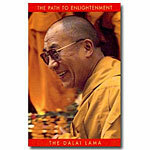 This is the most informative and thorough book on Dzogchen available. 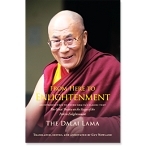 These teachings are on Dzogchen, the heart essence of the ancient Nyingma tradition of Tibetan Buddhism. Exploring this esoteric subject in print for the first time, His Holiness offers the reader insights into one of Buddhism's most profound systems of meditation. He discusses both the philosophic foundations and the practices of this system—taking into account the approaches of various schools and teachers. 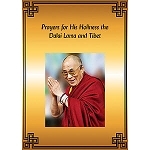 Paying tribute to the uniqueness of Dzogchen, His Holiness sets it within the wider spectrum of Tibetan Buddhism as a whole. 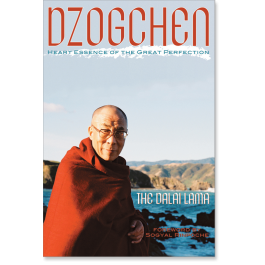 He explains the essence of Dzogchen practice and addresses questions such as why Dzogchen is called "the pinnacle of all vehicles," what are its special features, and what are the crucial principles of the other Buddhist paths which a Dzogchen practitioner should know. Paperback, 2004 edition, 271 pages.